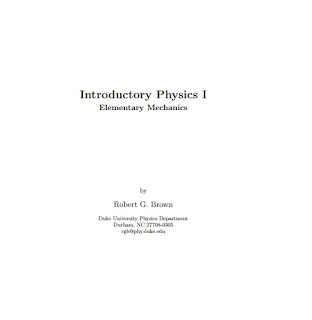 Introductory Physics I Elementary Mechanics by Robert G. Brown Duke University Physics Department Durham, NC 27708-0305 rgb@phy.duke.edu Copyright Notice Copyright Robert G. Brown 1993, 2007, 2013 Notice. This physics textbook is designed to support my personal teaching activities at Duke University, in particular teaching its Physics 141/142, 151/152, or 161/162 series (Introductory Physics for life science majors, engineers, or potential physics majors, respectively). 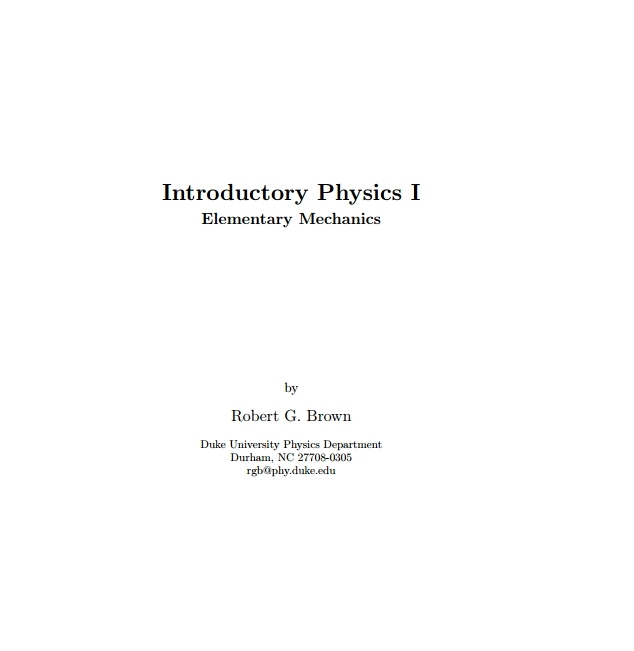 It is freely available in its entirety in a downloadable PDF form or to be read online at: http://www.phy.duke.edu/∼rgb/Class/intro physics 1.php It is also available in an inexpensive (really!) print version via Lulu press here: http://www.lulu.com/shop/product-21186588.html where readers/users can voluntarily help support or reward the author by purchasing either this paper copy or one of the even more inexpensive electronic copies. By making the book available in these various media at a cost ranging from free to cheap, I enable the text can be used by students all over the world where each student can pay (or not) according to their means. Nevertheless, I am hoping that students who truly ﬁnd this work useful will purchase a copy through Lulu or a bookseller (when the latter option becomes available), if only to help subsidize me while I continue to write inexpensive textbooks in physics or other subjects. This textbook is organized for ease of presentation and ease of learning. 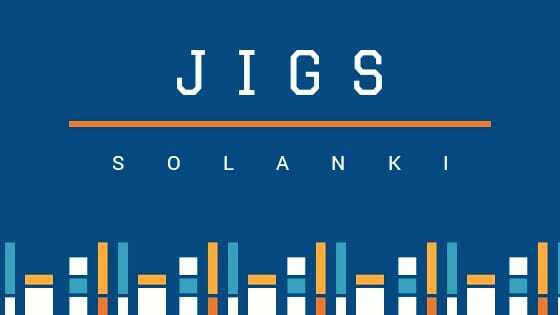 In particular, they are hierarchically organized in a way that directly supports eﬃcient learning. They are also remarkably complete in their presentation and contain moderately detailed derivations of many of the important equations and relations from ﬁrst principles while not skimping on simpler heuristic or conceptual explanations as well.